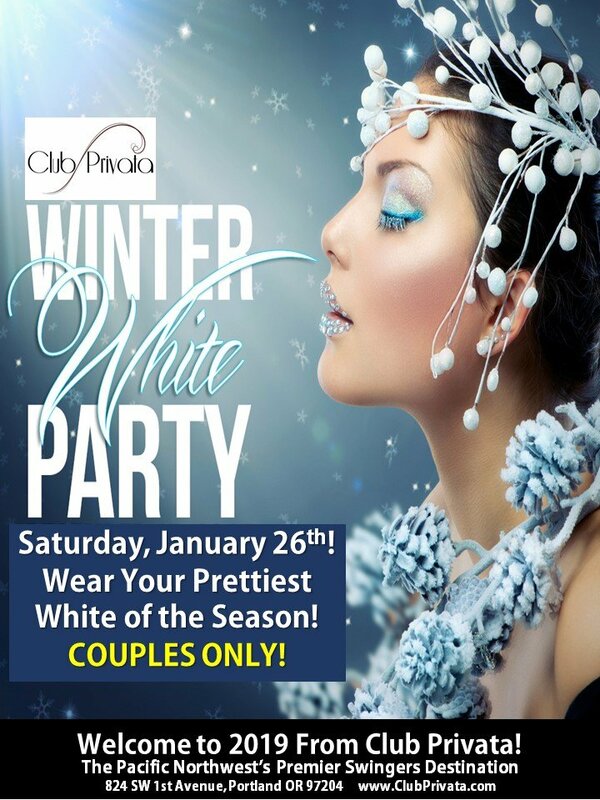 Winter White Party is Club Privata’s Sexiest Winter Party of the Year. Limited to couples ONLY this is a great way for couples to meet other couples. And you can explore your sensual desires in many of our play options including private play rooms, a specialty-themed area, couples lounge or group play space. Privata does not follow trends we set them. . .wear your prettiest White of the Season and enjoy Portland’s Premier Swingers Destination!